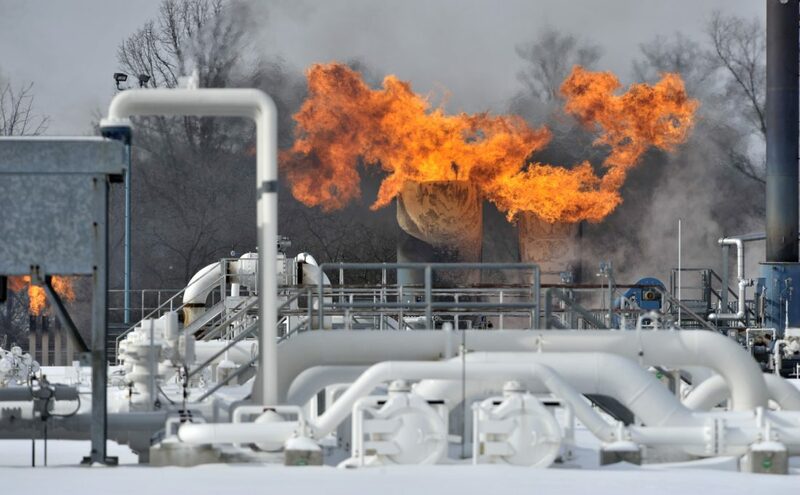 LANSING, Mich. (AP) — Michigan regulators opened an investigation Thursday into a compressor station fire that sparked concerns about keeping natural gas flowing to millions of people during a snap of bitterly cold temperatures. The Public Service Commission, which regulates utilities, voted 2-0 to launch the review — more than a week after the fire at a Consumers Energy facility in suburban Detroit . The blaze cut the amount of natural gas that could be delivered from underground storage at a time of record demand to heat homes, businesses and other buildings. “Events of the past week, let alone the past year, have significantly heightened the commission’s safety concerns with Michigan gas utilities,” said commissioner Norm Saari, who credited the onsite response and other factors for ensuring there were no injuries or residential service shut-offs. Saari pointed to the Jan. 30 fire, a house explosion in Pontiac on Sunday, and an incident over the weekend in which a contractor struck a gas line while digging in Warren. 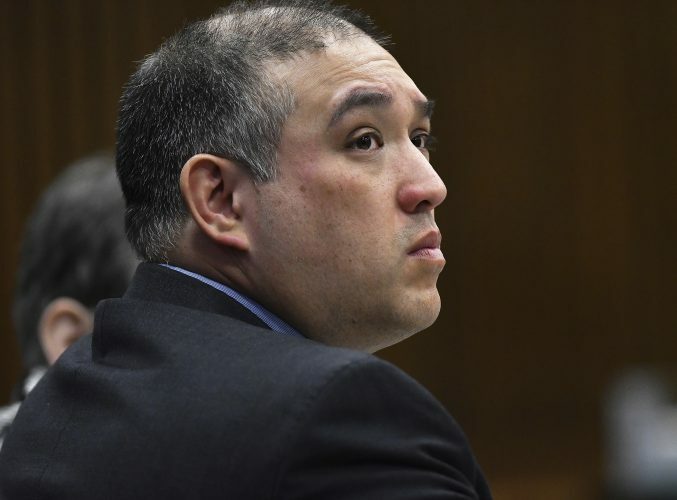 He also cited the 2017 explosion of a gas line in Oakland County’s Orion Township and the disruption of a gas service to Detroit’s Belle Isle after a line was hit by a contractor in December. The commission has an “increasing, serious concern that there needs to be a more dedicated emphasis by gas utilities on developing and implementing strong safety programs,” Saari said. “Consumers Energy is committed to safe and reliable service,” Carey said. The utility is due to report to the state by April 7. Commission staff will file their report by May 8. The fire prompted the utility to ask its customers and others to set their thermostats at 65 degrees or lower, while auto plants and other industrial customers shut down or limited operations. The state police sent a late-night emergency alert to the entire Lower Peninsula, and Gov. 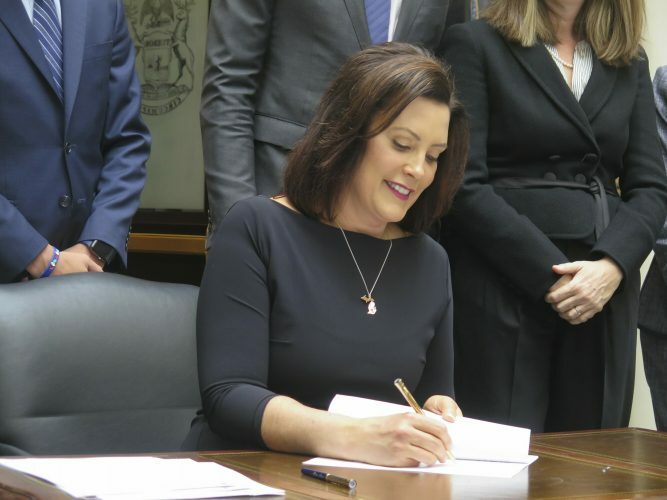 Gretchen Whitmer called for the commission to study the adequacy of the state’s energy supply and its ability to deliver natural gas, electricity and propane.